A famous traditional Irish Pale Ale with a distinctive character. A perfect balance between the traditional Irish Pale Ale and the dry-hopping of American Pale Ale. This beer has been acclaimed by many reviewers and has become a famous reference amongst pale ale enthusiasts. The members of the Irish Craft Brewers Association voted it the Best Beer of the Year 2010. Thanks to its bitterness and fruit notes. In 1996, the Carlow brewery was established by the O’Hara Brothers. 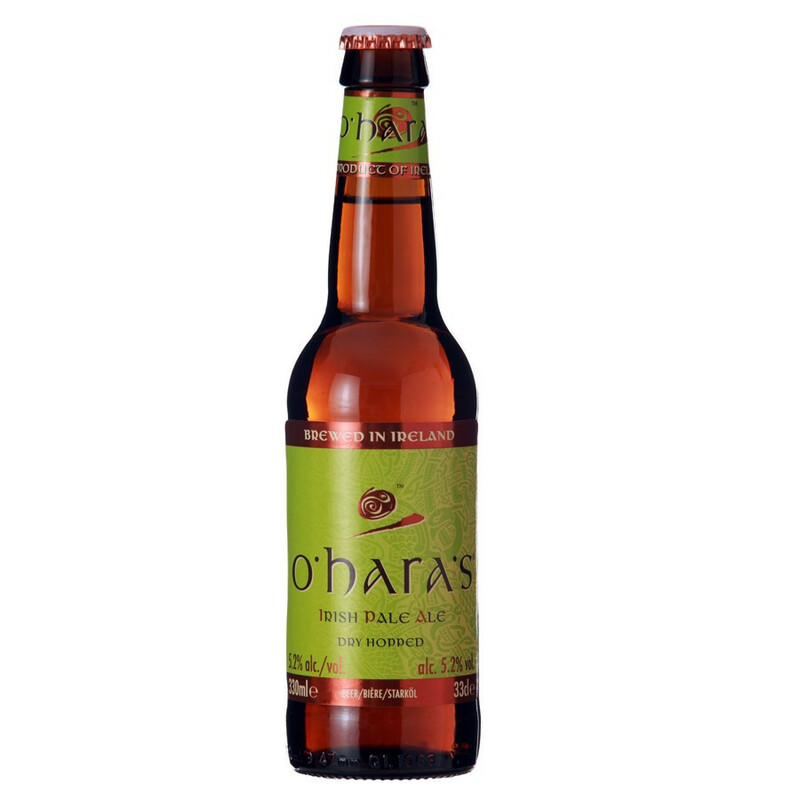 The O’Hara beer became international when the Celtic brown beer was elected number 1 at the Millenium Brewery International Ceremony. The marriage of traditional brewing techniques, modern technology with the finest natural ingredients make Carlow beers amongst the richest, most flavoured and most complex beers. The brewery is located in The Goods Store, a wonderful stone-walled building formerly used as a loading and unloading warehouse for the nearby train station. Now refurbished, the brewery includes a tasting bar, perfect for visitors who wish to taste the local beer while discovering the brewery’s interior.